After two years of delays, increased program costs and an unjustified fielding plan, the U.S. Army should consider canceling the shoulder-fired 25mm airburst weapon, investigators say. The service's XM25 Counter-Defilade Target Engagement System is a semi-automatic, shoulder-fired weapon that fires 25mm high-explosive, air-bursting ammunition. It features a target acquisition/fire control system that allows soldiers to identify a target, determine the range and program the ammunition to explode above or near targets out to 600 meters. Nicknamed "the Punisher" and designed by Orbital ATK Inc. and Heckler & Koch, the XM25 has stirred excitement in the infantry community, but the 14-pound weapon has taken its share of criticism. 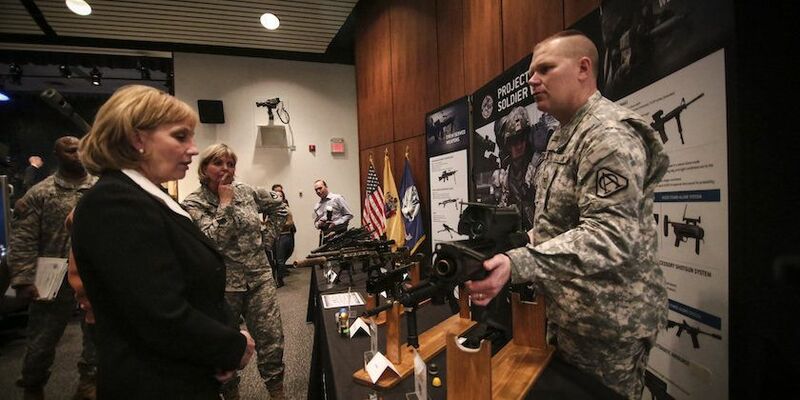 This week, the Defense Department's Inspector General's Office released a follow-on report to a March 2014 audit and concluded Army officials "could have managed the schedule, affordability, and quantity requirements of the XM25 program more effectively." But while the IG said the service's decision to extend the development effort and XM25 research caused costs to climb between February 2013 and March 2016, it failed to specify any actual dollar amounts. Indeed, the report was heavily redacted, with blacked out figures for not only cost increases but also quantities, including how many XM25s the Army intends to field as part of its basis of issue plan. When asked why such important information was redacted, Bridget Ann Serchak, spokeswoman, a spokesman for the Inspector General's office, said the Army -- as part of routine practice -- was allowed to decide what information it wanted classified as "for official use only" and thus not released in the IG report. Even so, the audit recommends that the office of the Assistant Secretary of the Army, Acquisition, Logistics and Technology, headed by Katrina McFarland, "determine whether to proceed with or cancel the XM25 program after reviewing the results of the 2016 Governmental testing," scheduled to be completed this fall. The audit is the latest chapter in the troubled story of the Army's attempt to field a "leap-ahead" weapon designed to give infantry units a decisive edge against enemies hiding behind cover. The service removed all prototypes from theater to determine the problem's cause. "The XM25 weapon malfunction, during a forward operational assessment in February 2013, contributed to the initial production decision delay," according to the audit. "Army G-3/5/7 officials stated that the malfunction demonstrated that the XM25 weapon needed additional development and was not ready for an initial production decision. [Project Manager Individual Weapons] officials redesigned the weapon and ammunition to correct the cause of the malfunctions." According to PM IW officials, the XM25 has not had any similar malfunctions since the changes were incorporated into the weapon and ammunition, the audit states. The audit highlights the concerns Lt. Gen. H.R. 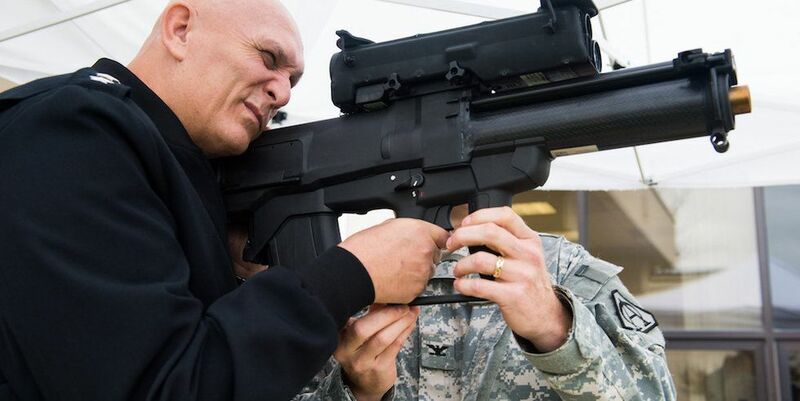 McMaster had with the XM25 when he was the commander of the Maneuver Center of Excellence in 2013. "On July 19, 2013, the Commanding General, MCOE, issued a memorandum detailing his concerns and recommendations regarding the XM25 program," the audit stated. --The soldier has a reduced capacity to engage targets at close range. McMaster's comments followed similar criticism of the XM25 by Rangers in Afghanistan. In March 2013, elements of the 75th Ranger Regiment refused to take XM25 with them for a raid on a fortified enemy compound in Afghanistan, sources familiar with the incident said. In a response letter to the DoD IG, Army Maj. Gen. L. Neil Thurgood, deputy for Acquisition and System Management, said the Army concurred with the recommendation to either determine whether to proceed with or cancel the XM25 program after reviewing the results of the 2016 governmental testing. "The Army Acquisition Authority, in concert with the chief of staff of the Army, continues to support the completion of the pre-production testing â€¦ leading to a Milestone C decision," he wrote. "At that time, the [Milestone Decision Authority] will review the test results and determine whether to proceed into initial production." DoD IG officials are not satisfied with this response. "Although the DASM agreed with the recommendation, the response did not address whether the ASA(ALT) will cancel the program if the XM25 does not meet all of its primary and secondary requirements," the audit states. "Therefore, we request that ASA(ALT) provide additional comments on its action plan to terminate a program that continues to have schedule delays, cost increases, and performance problems unless there are quantifiable program improvements." Thurgood disagreed with the recommendation to develop policies for the retention of supporting documentation for basis of issue plans developed during the acquisition process. Supporting documentation used to generate the basis of issue data comes from requirements documents, with the cost benefit analysis, system training plan, basis of issue guidance, and operation summary and mission profile, Thurgood said in his response. Additionally, the retention of supporting documentation from basis of issue plan development has no value in establishing procurement quantities, he added. IG auditors weren't satisfied with this response either. "While the requirements documents referenced by the DASM discuss the different operational scenarios and uses of the XM25, they do not contain the underlying support for the different Army squads, platoons, and companies," according to the audit. "Without retaining supporting documentation for basis of issue plan recommendations, the Army cannot justify the March 2012 XM25 basis of issue plan. "Because Army officials did not justify the XM25 basis of issue plan, the Army has no assurance that the estimated procurement quantity ... is valid."